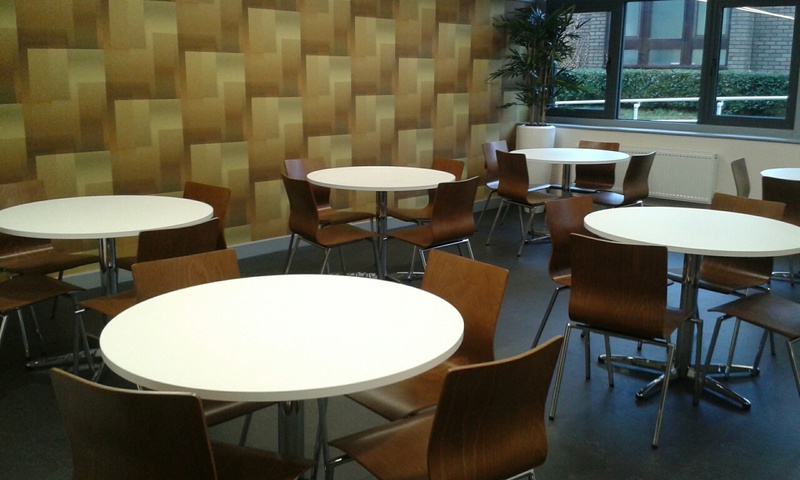 A local college engaged our services to furnish their new corporate events area. 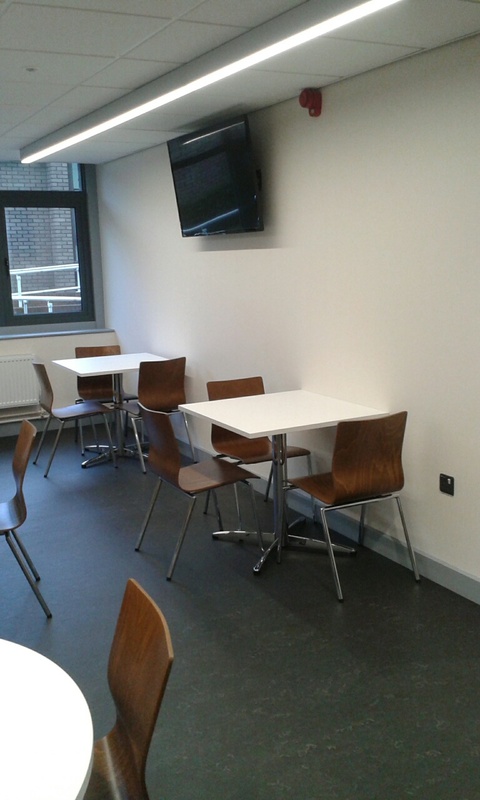 We designed the layout for various rooms within the area and supplied and installed a range of new furniture. 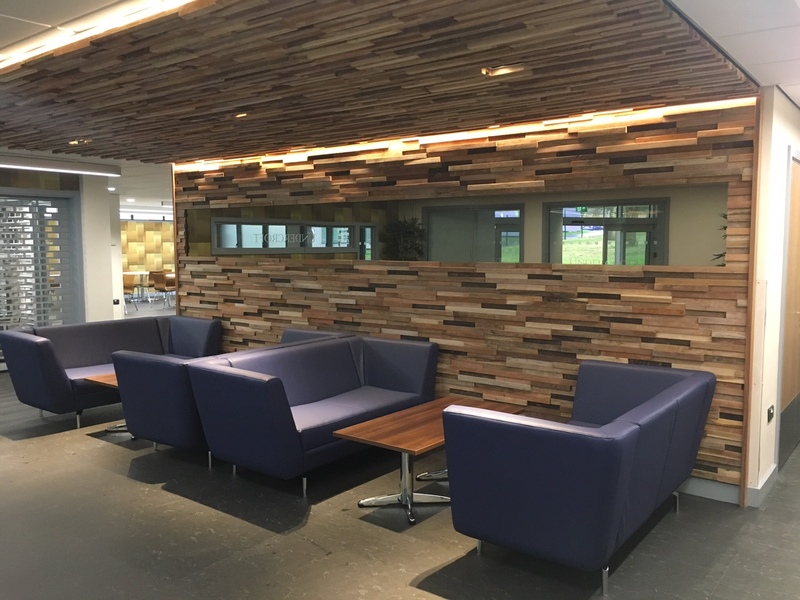 The end result was a modern, practical and functional space which provides great opportunities for relaxing, dining, meeting and networking. 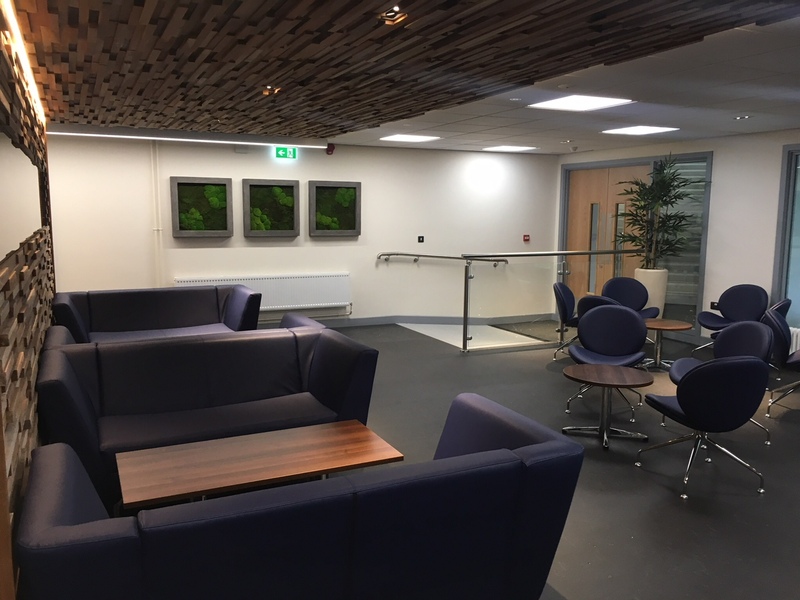 All tables supplied were from the LTC range which are ideal for high use areas, as well as benefiting from a smart, polished chrome base which perfectly complemented the four star base of the Giggle Chairs. 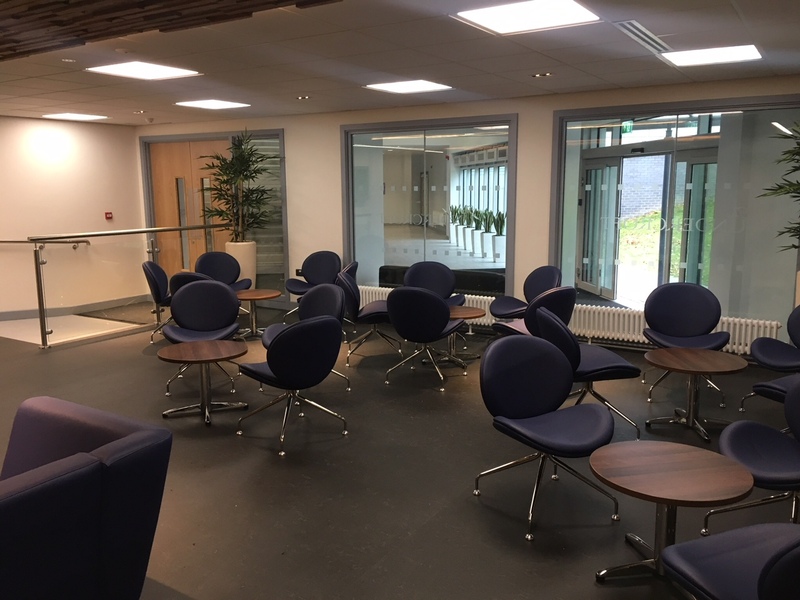 Giggle chairs and Lilo sofas were upholstered in vinyl for easy cleaning and maintenance, whilst the walnut Espacio chairs provided a comfortable seating solution for the dining area.